Alan Moore gave a new concept to world of comic books when he stated quotes about comic that simply painting comic is not more than laziness rather artists should input their actual sense. He loved the people, community and everything about the place where he was born. At the age of five he read the “omnivorously” and at the same time he started to read the comic strips which include the beezer and the topper. 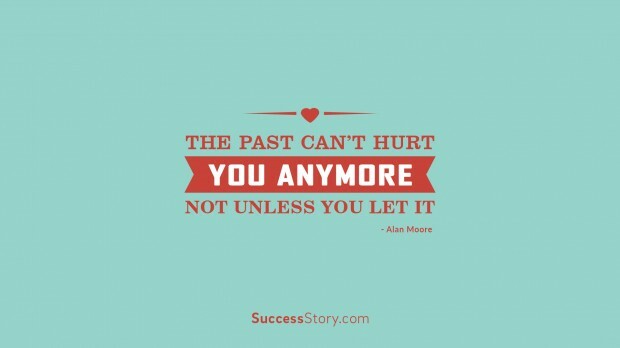 "The Past Can't Hurt You Anymore Not Unless You Let It"
Alan Moore also quoted lines about quitting the things. He said there is no word like quitting but it’s a long pause between degenerations. He stated above quotes from his life where he Worked in a tannery and cleaned toilets in his hard times. He was not satisfied with his job and decided to earn his livelihood by doing some artistic work. After abandoning his job he decides to illustrate and write the comic books. He was paid for the drawing that was printed on the magazine. He struggle very hard to get the success and finally he tasted the success after few rejection. He wrote many inspirational comic books which became popular among the people for his quotes of intelligence. He said that never leave your place without being prepared for the next journey. He inspired many people through his books. His name was counted on the best writers who inspired the public through his stories. He also wrote the short stories. Alan Moore maintained his status as a freelance writer and many comic book companies offered a spate of work in Britain.